Greetings from the temporary home office in Afghanistan. While there is news of great success and even a wedding, this week the SigEp Patriots Project (SPP) also remembers a number of brothers, including one who made the ultimate sacrifice, as well as three SigEp Patriots that were lost to us recently. On this date, Vietnam War Veteran and NC Beta Brother Warrant Officer One Dayton Wayne Lanier, U.S. Army Reserve made the ultimate sacrifice when the helicopter he was piloting in support of American ground forces crashed after receiving hostile fire near Thua Thien, South Vietnam. He was 28 years old. Brother Lanier arrived in Vietnam in AUG 1967, with Charlie Company, 229th Assault Helicopter Battalion, 1st Cavalry, but when he was shot down he was serving with Headquarters Company, 1st Brigade, 1st Cavalry Division. His awards include the Silver Star, Bronze Star, Purple Heart and 24 Air Medals. 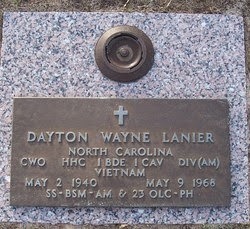 Brother Lanier is memorialized on Panel 57E, Line 026 of the Vietnam Veterans Memorial – “The Wall” – in Washington, DC. Respect can be paid to Brother Lanier at Greenlawn Memorial Park Cemetery in Wilmington, NC. U.S. Air Force Veteran NY Beta Brother Newton C. Galusha, Jr. died on this date. After Cornell, Brother Galusha attended medical school, and then fulfilled his military obligation by serving in the USAF from 1976-1980. Newton went on to practiced internal medicine, and founded Harris Methodist Springwood addiction treatment center. Respect can be paid to Brother Galusha at Bluebonnet Hills Memorial Park in Colleyville, TX. On this date, World War II Veteran and VT Alpha Brother Captain George Sander, U.S. Army Air Force died in Whiting, New Jersey. Following his service as a radar officer in the U.S. Army Air Force, he was a district sales manager for Johnson Controls and made his home in Baldwin, Long Island until his retirement in 1981. Respect can be paid to Brother Sander at Section KS, Site 8479 of Brigadier General William C. Doyle Veterans Memorial Cemetery in Wrightstown, New Jersey. U.S. Army Korean War Veteran KS Gamma Brother Boyd L. Burns died on this date at the Chanute Healthcare Center, Chanute, Kansas. Boyd was drafted in to the Army shortly after college, and he served with General Eisenhower’s NATO forces in Germany. Brother Burns was a member of the Class of 1950 at the University of Kansas. After his military service he began his business career as a lifelong realtor and insurance agent in Chanute. Respect can be paid to Brother Burns at Memorial Park Cemetery in Chanute. On this date, Vietnam War & Cold War Veteran and TN Alpha Brother Major Selman “Sam” L. Bass, U.S. Army (Retired) died at the Gateway Medical Center in Clarksville, Tennessee. Brother Bass was a Distinguished Military Graduate of the Army ROTC program from The University of Tennessee at Knoxville in 1969, and his Army service included Infantry, Military Police and Russian Foreign Area Specialist, serving in the U.S., Vietnam, and Germany (during the Cold War). He was also Commander of Check Point Alpha, Berlin Brigade, U.S. Army. He retired from the military in 1986. His awards include the Bronze Star Medal, Defense Meritorious Service Medal, Meritorious Service Medal, Army Commendation Medal, Humanitarian Service Medal, Army of Occupation Medal, Vietnam Service Medal, Republic of Vietnam Gallantry Cross with Palm, and Republic of Vietnam Campaign Medal. 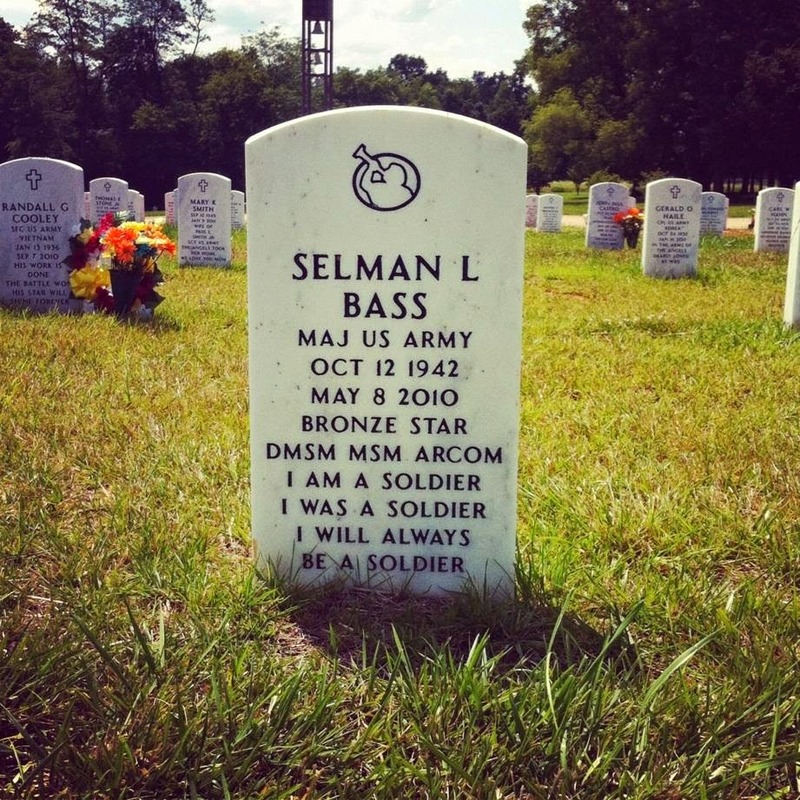 Selman was a member of Military Order of Tennessee Rangers, Western Kentucky-Tennessee Chapter of the 101st Airborne Division Association, Disabled American Veterans and the American Legion. He received a BS in Personnel Management from UT. As a businessman, Brother Bass enjoyed a variety of positions in Highlands, NC, Gaithersburg, MD and Clarksville, TN. Until his retirement in 2009, he was Executive Secretary and Treasurer of the 101st Airborne Division Association – a veterans organization of current and former Screaming Eagles of the 101st Airborne Division, Fort Campbell, KY.
His family asked that memorial contributions can be made in his name to the Vanderbilt Ingram Cancer Center or the Screaming Eagle Support Fund, c/o The 101st Airborne Division Association, P.O. Box 929, Fort Campbell, KY, 42223. Respect can be paid to Brother Bass at Kentucky Veterans Cemetery – West, Hopkinsville, KY.
NE Beta Brother Captain Francis E. Schuchart, U.S. Air Force died on this date in Silver Spring, Maryland. He was enrolled in the Air Force ROTC program throughout college after which he served on active duty and was honorably discharged having achieved the rank of Captain. At the University of Nebraska he earned his Bachelor's Degree in Journalism. After a brief acting career, he was drawn to broadcasting and became known as "Frank Scott." He rose through the ranks at radio and TV stations in Tucson AZ; Omaha, NE and Denver, CO. He was pivotal in the creation of the Omaha Press Club and was inducted into the Nebraska Broadcaster's Hall Of Fame. In 1976, Mr. Scott moved his family to Washington, D.C. where he served as an NBC Radio Vice President. In 1982, he was named Director of Programs for Voice of America and as a result of a Presidential appointment he later became the Director of Voice of America Europe headquartered in Munich, Germany. Francis’ family requested that memorial contributions may be made in his name to one of the following charities: Riderwood Philanthropy Department, Staff Appreciation Fund, 3110 Gracefield Road, Silver Spring, MD 20904 or Montgomery Hospice, 1355 Piccard Drive, Suite 100, Rockville, MD 20850. U.S. Army Korean War Veteran NC Beta Brother Charles L. Helms died at home on this date. Mr. Helms joined the U.S. Army and became a helicopter pilot, at one point flying the area of the Korean DMZ. He worked in the family business in Wingate before moving to Conway in 1973 where he turned a small, worn tobacco barn located in the Homewood community in to a thriving business named Charles Lesters' where he conceived, manufactured and distributed wooden decorative accessories sold throughout the U.S. and Canada. Mr. Helms, affectionately known as Mr. Lester, was actively involved within the community through sponsoring little league teams, working with the Lions Club and performing with the Theatre of Republic. Memorials may be sent to National MS Society, PO Box 4527, New York, NY 10163. 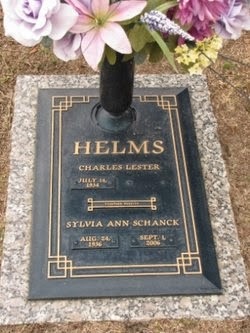 Respect can be paid to Brother Helms at Hillcrest Cemetery in Conway, SC. Operation Enduring Freedom Veteran KY Zeta Brother Anthony Palmer was commissioned a Second Lieutenant, U.S. Army on this date. Anthony served in the Army National Guard before completing his degree and receiving his commission. * U.S. Navy World War II Veteran TX Alpha Brother Francis Gray “Red” Winters, 89, passed away 03 MAY in Houston, Texas after a lengthy illness. After the war, Red continued his service in the Navy Reserve. * U.S. Army Air Corps World War II Veteran KS Alpha Brother William “Bill” Arthur Bucher, Jr., passed away 08 MAY. Bill enlisted in the Army as radar navigator after graduating high school, and served with the 9th Air Force in Europe. After the war, he became a brother at Baker University, and graduated in 1949. The funeral for Brother Bucher will be held Monday at Johnson County Funeral Chapel, 11200 Metcalf Avenue, Overland Park, KS 66210. * U.S. Marine Corps Veteran Larry H. LeMasters, 70, passed away 08 MAY in Powell, Ohio. A celebration of his life will be held on Monday at 6pm at the Grace Point Sanctuary, 3950 Summit View Road, Dublin, OH 43016. Our thoughts and prayers go out to the chapter brothers, family and friends of brothers Winters, Bucher and LeMasters. SPP pledges that these brothers will always be remembered. * NC Kappa Brother Hospital Corpsman Bryce Booth, U.S. Navy got married on Saturday! Congratulations to Bryce and Miranda! All the best! * Congratulations to TX Theta Brother John Korban on his recent promotion to First Lieutenant, U.S. Army. * This weekend, NY Chi Brothers Andrew Nelden & Tanner Jones, and MS Gamma Brother Dustin DuBose graduated and were commissioned as Second Lieutenants in the U.S. Army. Best of luck in your careers! We are sure other SigEp Patriots graduated this weekend and were commissioned, and SPP would love to hear about your success! * SPP continues to facilitate the passing of a U.S. and SigEp flag among SigEp Patriots serving in harm’s way. If you are deployed and would like to receive the flags drop me an email.